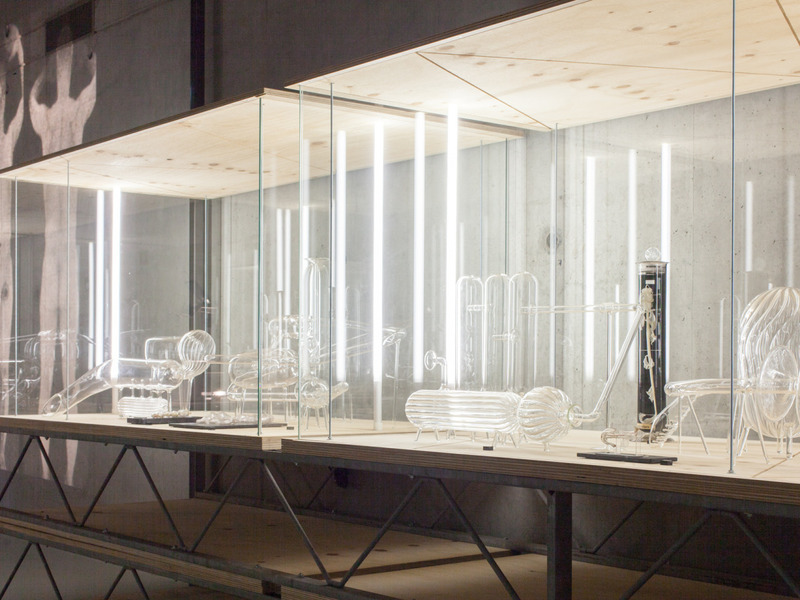 Glass: The Engine of Progress is an exhibition at Het Nieuwe Instituut about how glass extends the eye into the heavens, around the world, through the human body and down into the depths of the microcosmos. Wonder about the material that developed along with our curiosity to spur on progress and topple world views. Plan of the Glass: Engine of Progress exhibition at Het Nieuwe Instituut. 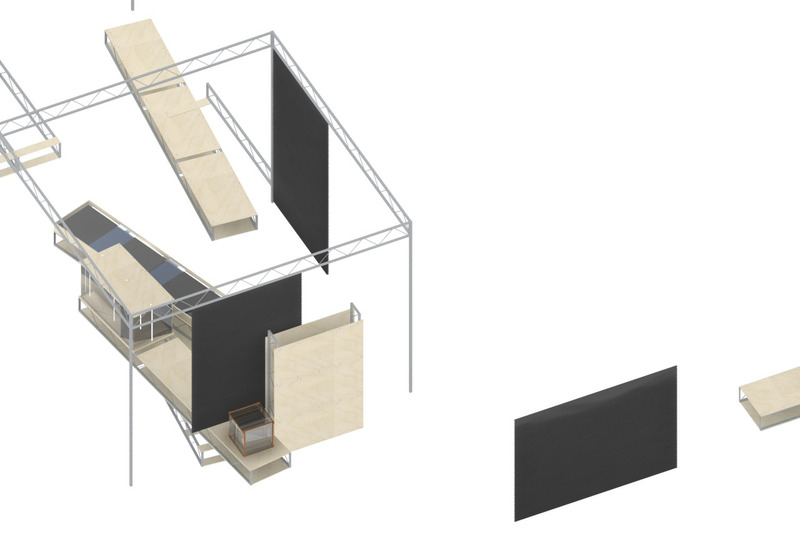 The modular exhibition design is based on four different types of wooden planks and two types of steel trusses that are riveted together. By combining and placing these elements in combination with large sheets of glass and luxaflex diverse structures appear that define the space and function as walls, displays and vitrines. A video of the exhibition can be seen here. 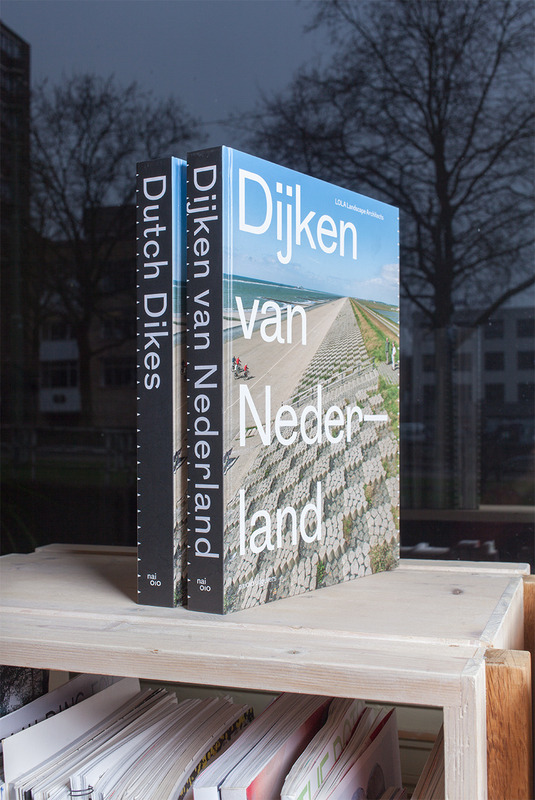 Dijken van Nederland is the definitive book on the Dikes of the Netherlands. LOLA Landscape Architects produced a staggering amount of research on dikes including the first definitive map showing all the dikes in the land and a detailed taxonomy of every type of dike. 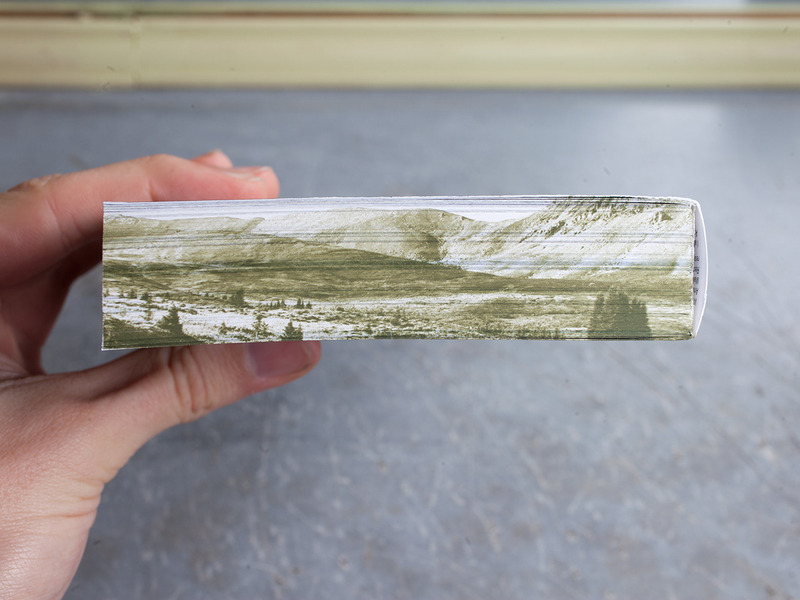 HOUT/WOOD is an exhibition at Het Nieuwe Instituut about the material and the site it originates from: the forest. Our roles in making the exhibition ranged from spatial and graphic design to being editors and providing objects and materials to support the narrative. HOUT/WOOD showcases works by Aldo Bakker, Eelco Brand, Charles & Ray Eames, Ernst van der Hoeven, Chris Kabel, Lex Pott, Cedric Price, Bethan Laura Wood, Lukas Oleniuk, Onix, SeARCH, Hendrik Wijdeveld, James Wines and others. Their work is presented in a context of historical, cultural and societal references. 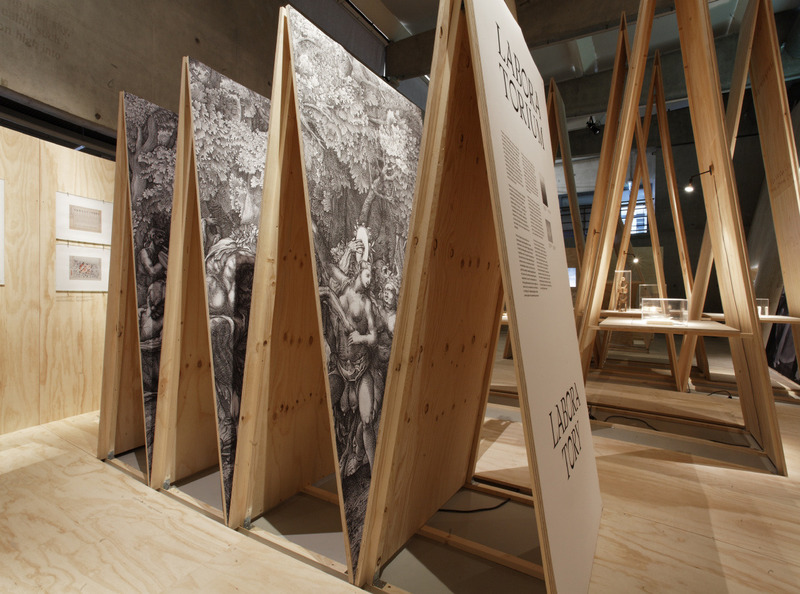 The exhibition is on until the 10th of August 2014 at Het Nieuwe Instituut in Rotterdam. With: Dan Handel, Babette Zijlstra, Wendel ten Arve, Guus Beumer and Gert Staal. 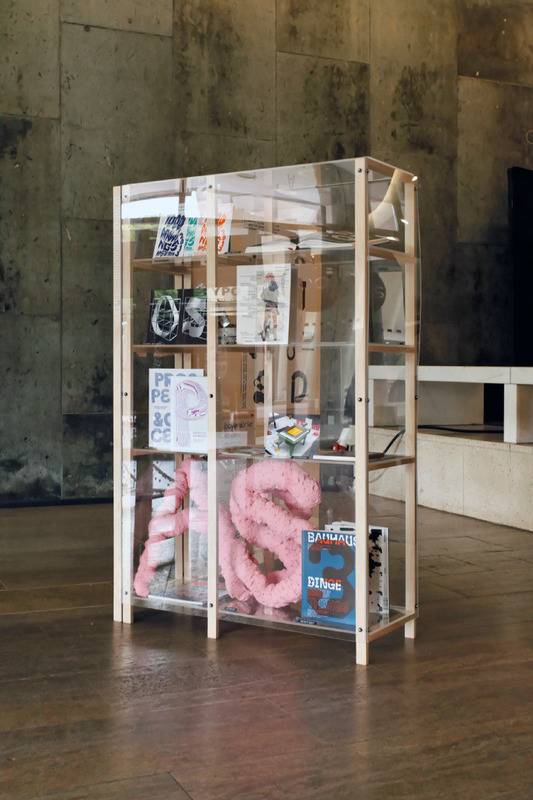 Means of Production as installed at Haus der Kulturen der Welt for TypoBerlin 2014. Means of Production is a travelling exhibition about designers that features works by graphic designers that question the tools and materials they use to produce their work. By coming up with experimental methods and custom machinery they push for unexpected outcomes that result in new forms and meanings. Means of Production features work by Catalogtree, RAW Color, Hansje van Halem, Letterproeftuin, Moniker, Karl Nawrot, Jordy van den Nieuwendijk, Our Polite Society, Bertjan Pot, Hamid Sallali and Team Thursday. 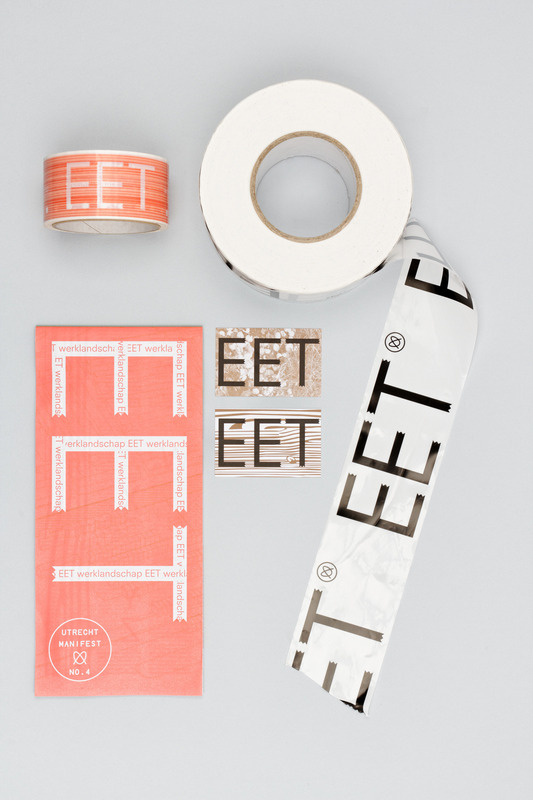 We curated and designed Means of Production for The Dutch Embassy in Berlin. Lost Landscapes is LOLA Landscape Architects’ philosophy on Landscape, Leisure and Nature, the publication is part of the Maaskant Prize that Lola recently won. Next to the trade edition there is also a special edition where the sides are printed with photos of landscapes. The sides make for a sort of triptych/polyptych depicting the different aspects of the landscape that Lola distinguish. For Lola Landscape Architects and nai010 publishers. 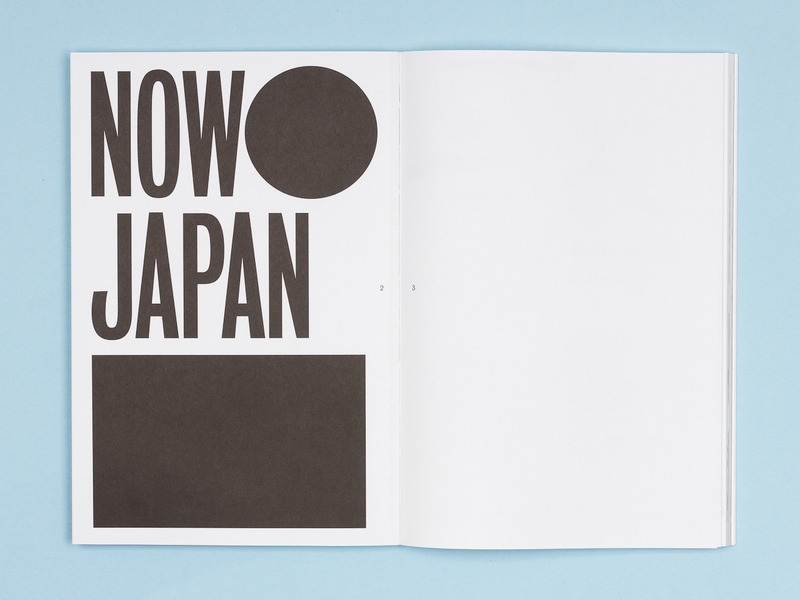 Catalogue for Now Japan, showcasing contemporary Japanese art at Kunsthal Kade in Amersfoort. 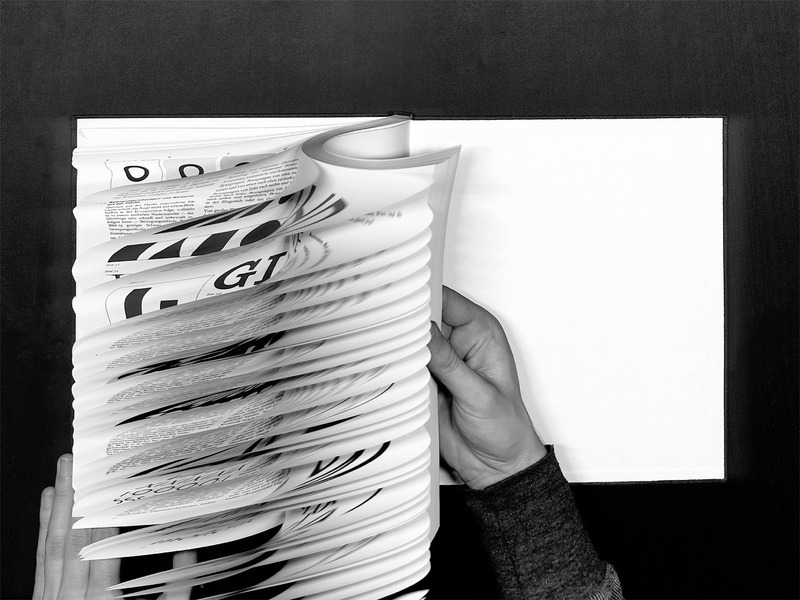 Printed on thin paper with only every other page full-colour. Werklandschap EET was an exhibition that was part of Utrecht Manifest. 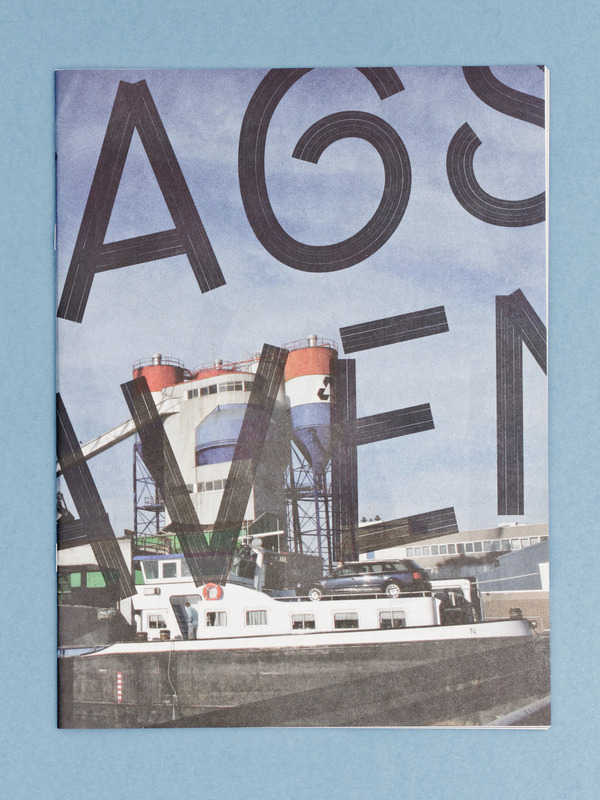 Newspaper for the presentation Haagse Havens of Stroom den Haag for the IABR 2012. 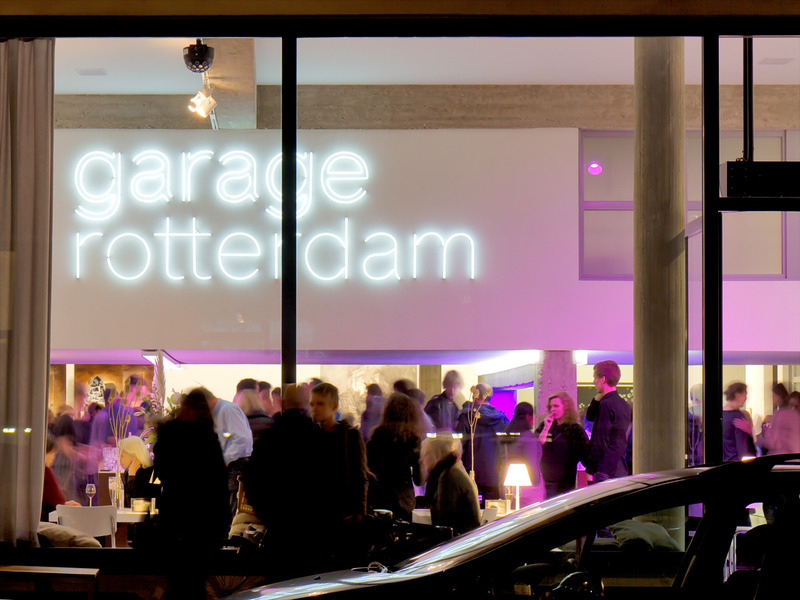 Garage Rotterdam is a new gallery space for contemporary art in Rotterdam. The main feature of the identity is the logotype that is specifically designed to work as a large neon sign on the elevated wall facing the street. Curator Hans van der Ham has already put together five beautiful group-shows featuring artists like Nathaniel Mellors, Hans op de Beeck, Henk Visch, Georg Bohle and Marie Aly. 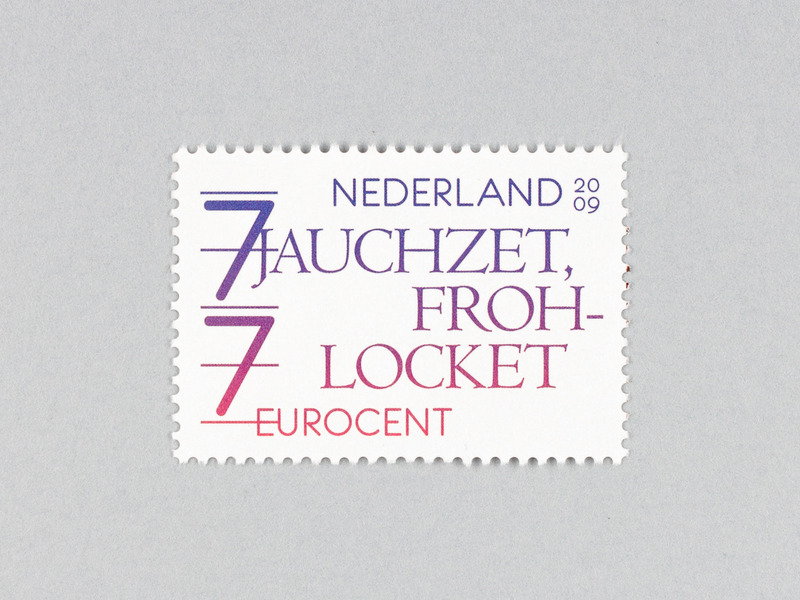 Stamp design for the ‘Muziek in Nederland’ sheet. The subject of this half is singing in relation to Europa Cantat in Utrecht that was held in 2009. We didn’t want to express singing through an illustration and instead opted to forego the briefing a bit and proposed a typographic design that featured three starting sentences of well-known songs. Hopefully the user of the stamp finishes the song herself. ‘Real Estate Poetry’ from the Beijing Image Building Series. In 2007 we were in a artist-in-residency in Beijing right next door to the studio of Ai WeiWei. We were interested in how Beijing was gearing up for the Olympics of 2008 and gathered impressions of a city trying to look its best. This phase of 'under construction’ gave us the ability to circumvent the impression that was intended, and enabled us to see behind the scenes of city-scale image building. This resulted in a series of business-cards, the exchange of which is a modern Chinese ritual we found. Also the parallel meaning of introducing and asking for business is a apt metaphor for Beijing working on its Olympic appearance.